Warcraft 1.24c Patch is released! The Warcraft 1.24c Patch is already tested on Westfall server. Check this out! There will probably be a 1.24c. 1.24b broke the human campaign on ROC. Nice bro . . . ! how do you install it? It always says "error has occured bla bla". How do you install it..
hope it wont change....I dont like it, n yet i cant download the latest patch yet!! Ссылка самого лучшего вариант пропатчивания варкрафтаю Просто замените файл из архива на файл в игре и патч будет установлен! 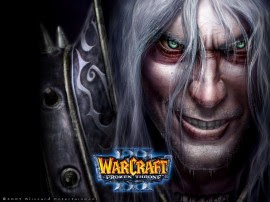 warcraft 3 patch 124c! - game.dll. can any 1 help me?? i need UI/TriggerData.txt to update my patch please someone help !!!!!!!!! fight me. . bekam first blood!!! !